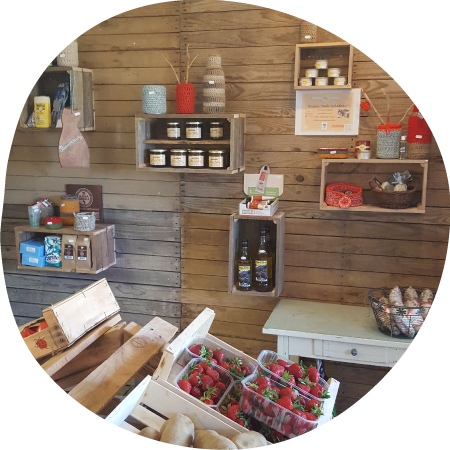 Our shop is “100% very local” ! In high season, the shop is open from 8.30am to 8pm. 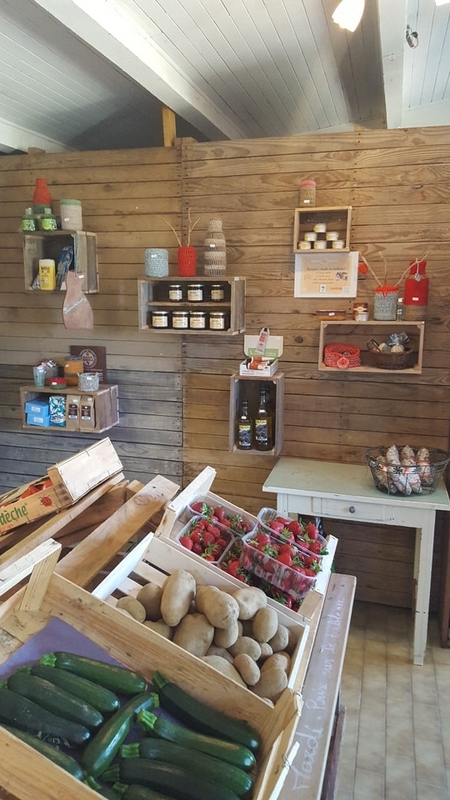 Our shop stocks a range of local products that we source from neighbouring farmers and producers – wine, olive oil, snails, honey, jams, cordials, soaps, etc. As well as fresh produce and either local or organic fruit and vegetables. All the local food produce is also served in the campsite restaurant. 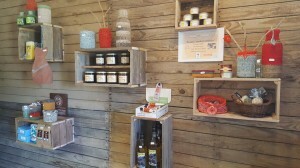 Our shop also sells various items made by talented local artisans and artists. As examples, homemade marketbags made of wool or graphic posters of famous recipes of Ardèche. We also stock a range of standard products that you may need during your holiday. 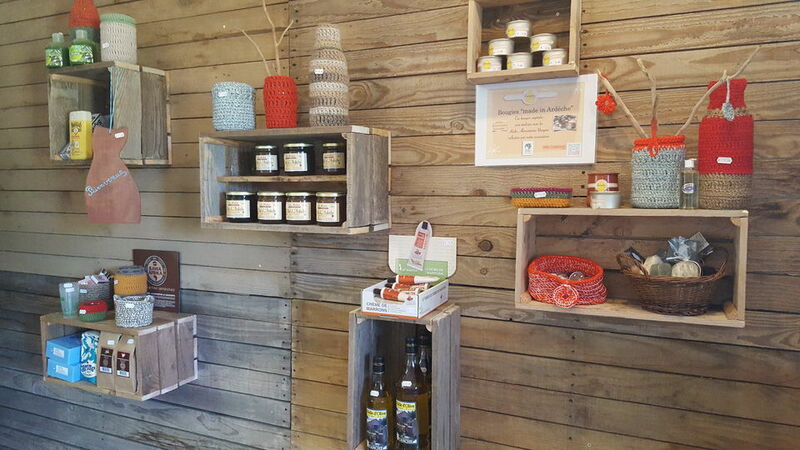 Such as the eco-friendly Bulle Verte household product range that is produced not far from the campsite.